Tip: One of my favorite ways to save money is to buy items when they have a BOGO sale. They will also honor competitor coupons and manufacture coupons at the same time, so a lot of times you can get some really good deals if you hit all 3 at once. When that is the case, I try to stock up!! I have even gotten some things for free before! 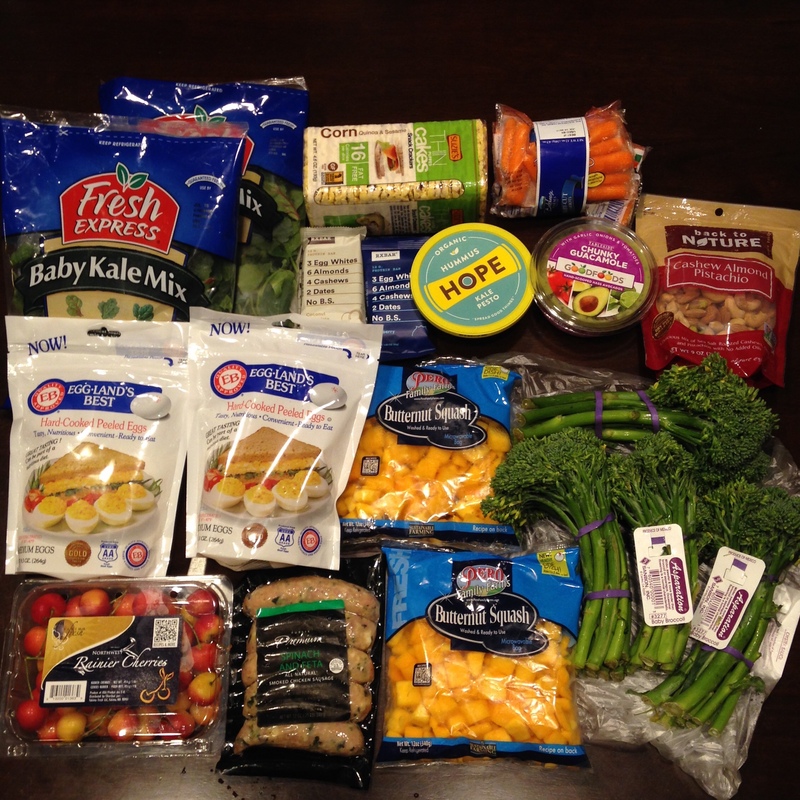 I want to also show you what things I get on a regular basis from Publix too! Unlike many people, I love plain water. So much so that we usually buy a case or two every week, but every so often I like to have something flavored. 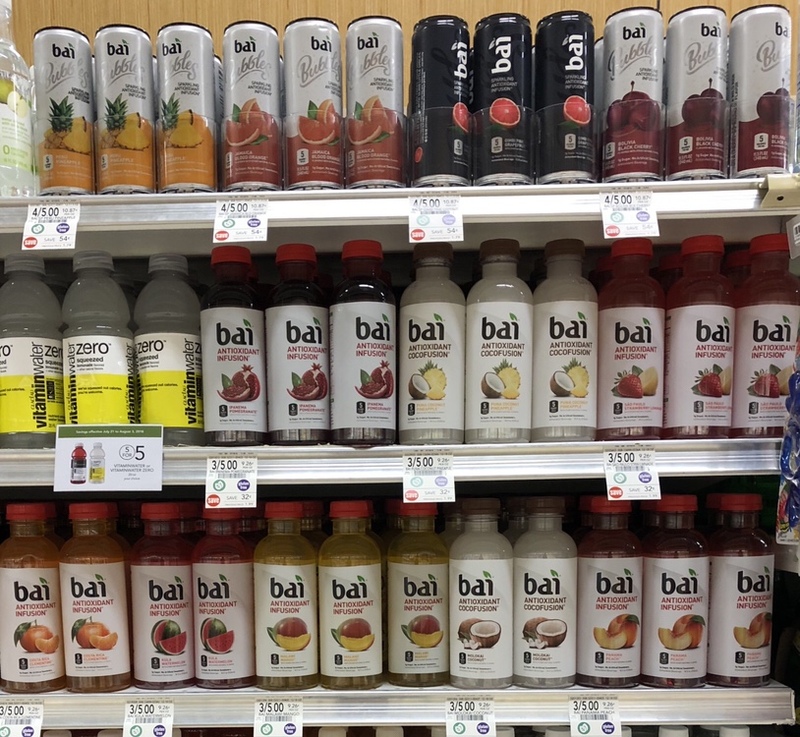 One of my favorite low calorie choices is Bai. They are sweetened with erythritol and stevia. Strawberry Lemonade is the BEST flavor! As an alternative to soda, I like Zevia. It is a stevia-sweetened carbonated water with natural flavors. My favorite flavor is grape! LaCroix is another good alternative to soda, but it has no sweeteners, so I usually like to add a squeeze of orange or lemon. My favorite is the coconut flavor. 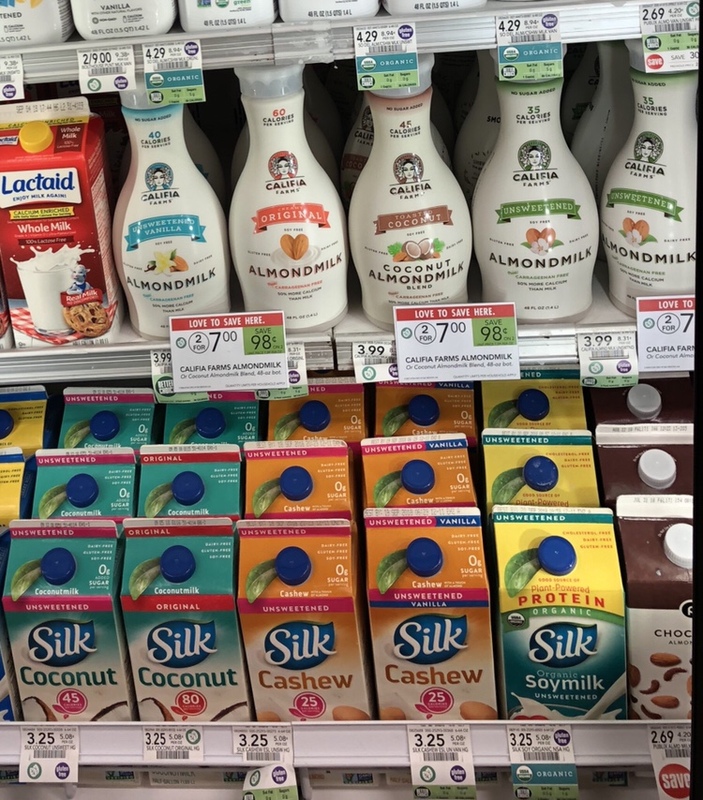 I am lactose intolerant, so I usually stick with plant-based milk alternatives. For baking and smoothies/shakes, I like coconut, almond, or cashew milk. I usually get unsweetened, or vanilla unsweetened. 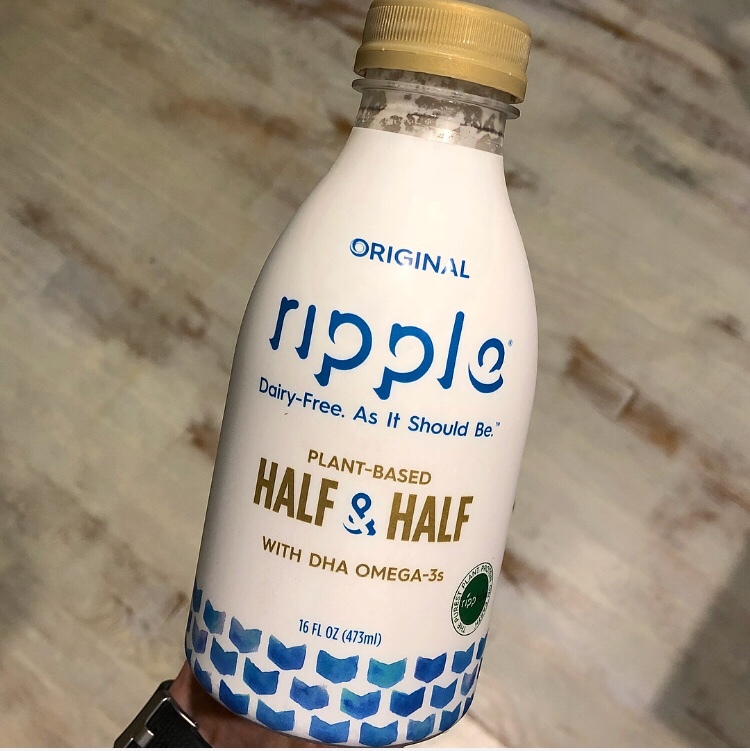 For my coffee, I use Ripple which is a pea based product. Now lets move on to proteins! I always keep some egg white substitute and fresh eggs on hand for cooking and baking. I also like to have boiled eggs for snacks, and pre-boiled are such a life-saver! They are also amazing when you are bringing deviled eggs to a party, because they are perfect with no flaws! 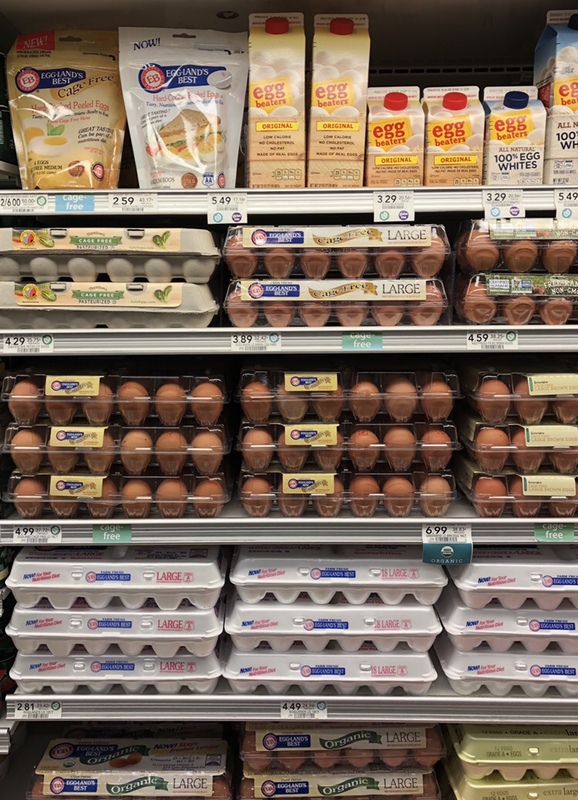 I try to stick with Eggland's Best for fresh eggs and the pre-boiled eggs, but buy whatever is on sale as far as the liquid whites. 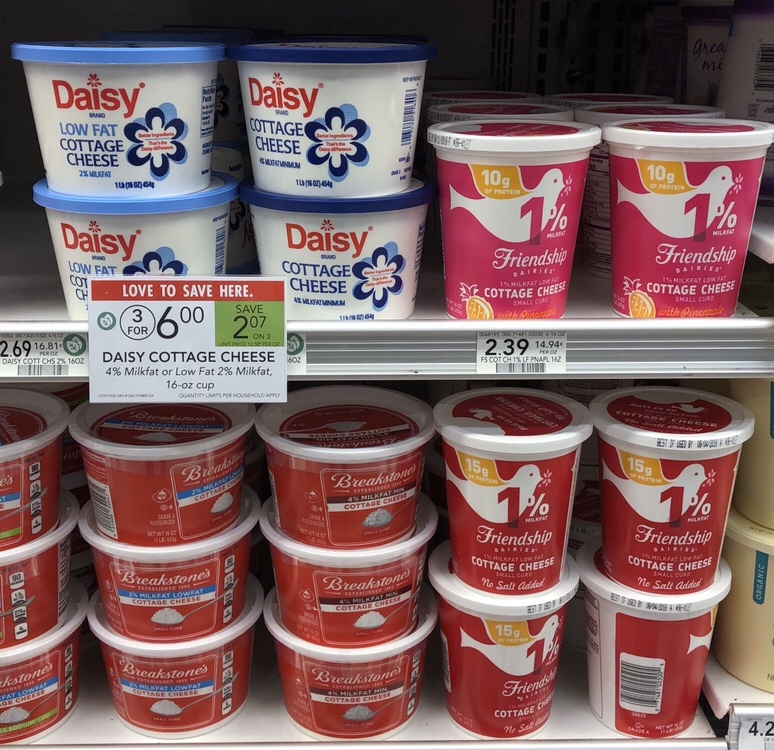 My two favorite brands of cottage cheese are Friendship and Daisy. My favorite Greek yogurt is Fage. 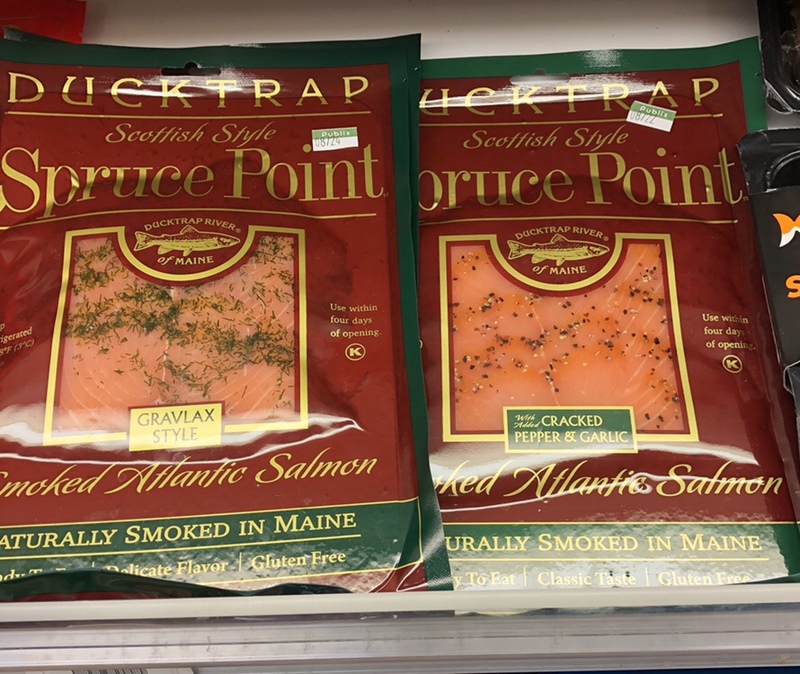 Smoked salmon from the deli case is a great read-to-eat protein option! Use in wraps, salads, or on bagels. I love the cracked pepper and garlic flavor! 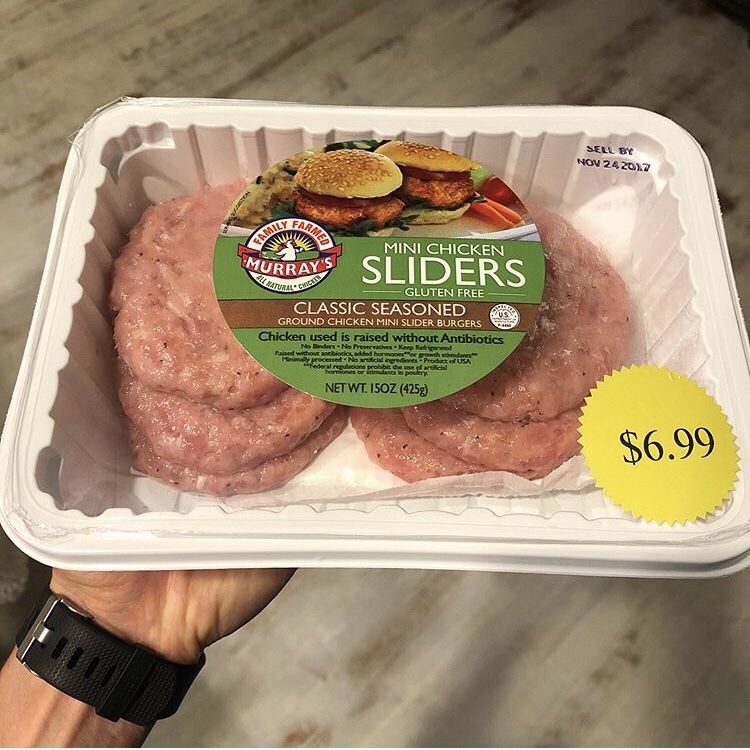 Another easy to prepare option are these pre-seasoned turkey sliders. They come in regular size too! All you have to do is it cook on the stove or grill and they have the perfect flavor!! I also like using them i recipes that call for sausage or ground meat. I just crumble them up after cooking. 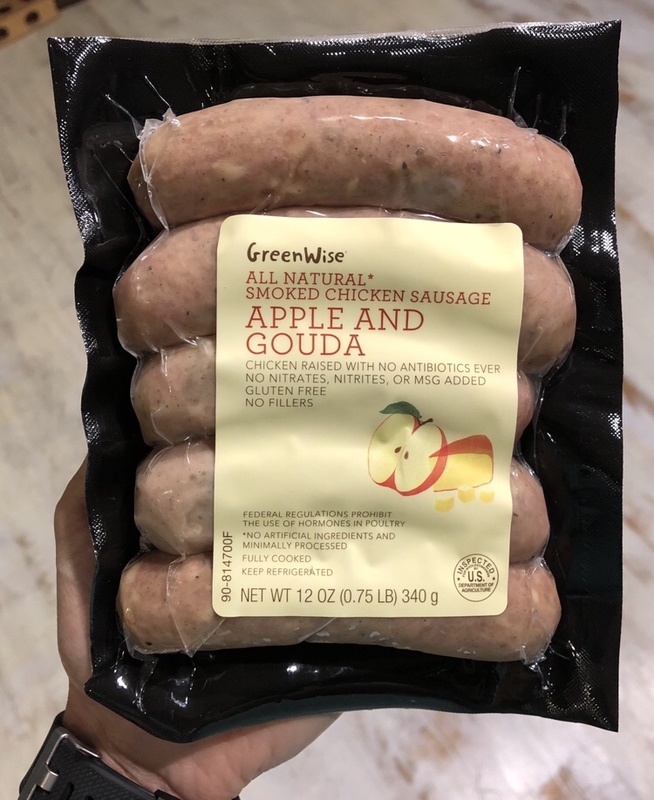 I love the Greenwise chicken sausage! My favorite flavor is the apple and Gouda. 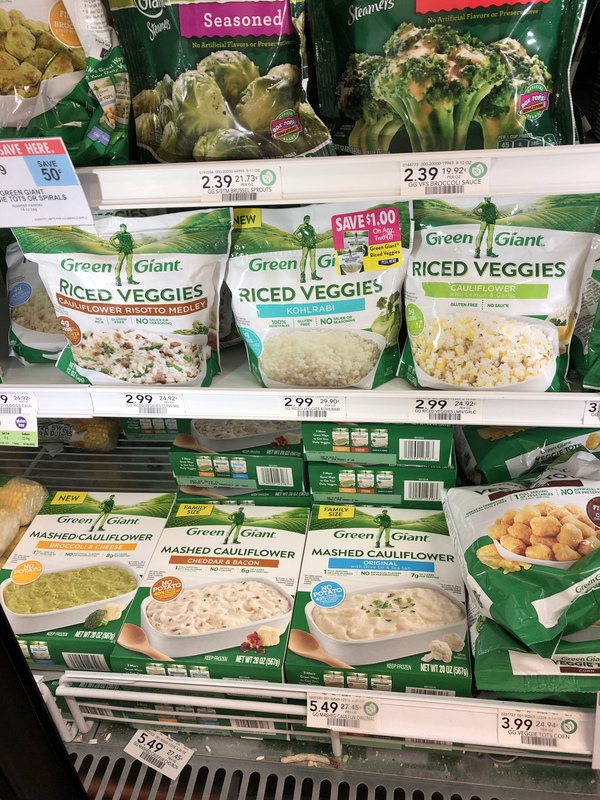 These are fully cooked and can be frozen, so I usually stock up when it goes on sale. 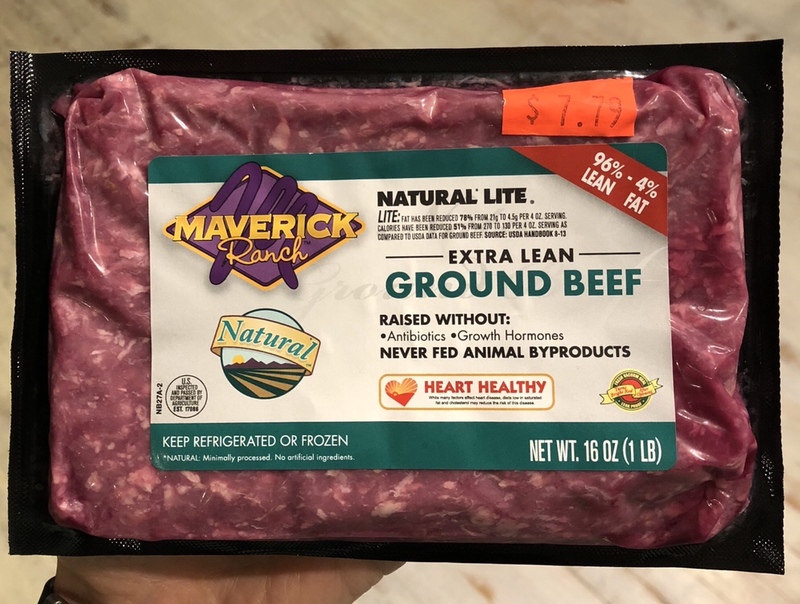 They are so good for chopping up and eating with mixed roasted veggies, on salads, soups, or in recipes in place of ground meat because they add flavor to whatever you pair them with! 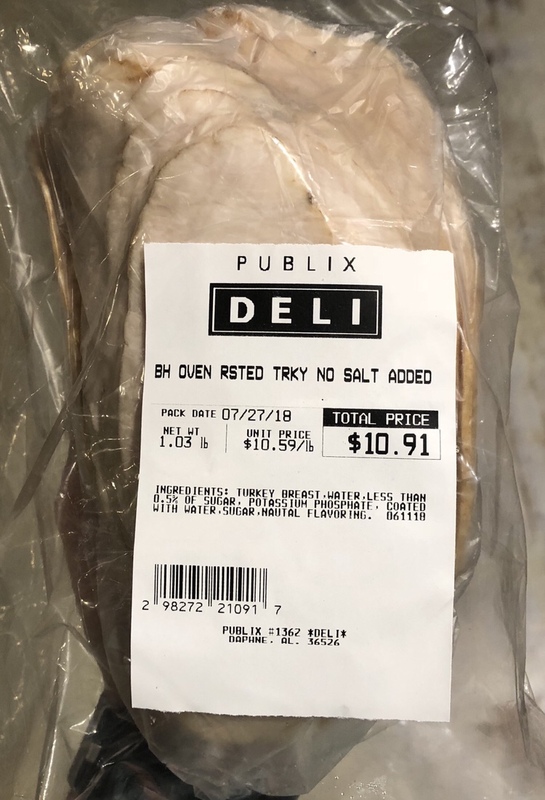 Publix is one of the only places that carries Boar's Head meat. I like the no salt added sodium. It is great for sandwiches or just rolling with some cheese and snacking on! Now for may favorite veggies!! 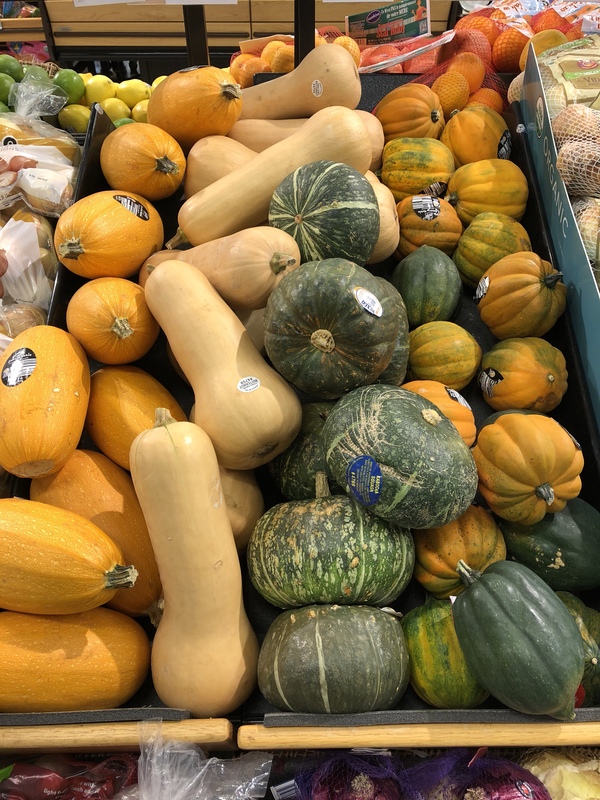 Some of my favorite veggies—squash! I routinely make spaghetti squash. It is so easy to make it in the microwave! I also love kabocha (buttercup) squash, but like butternut, it is a little labor intensive to cut. I usually get my butternut pre-cut for that reason. This is one of my favorite recipes to make with it. A lot of times I will add spinach too! I buy kabocha when I know a have a little extra time to cut and clean it. It is so delicious roasted with a bit of cinnamon and Splenda. You can also roast it for salads. Acorn squash is also so versatile! Try it stuffed! 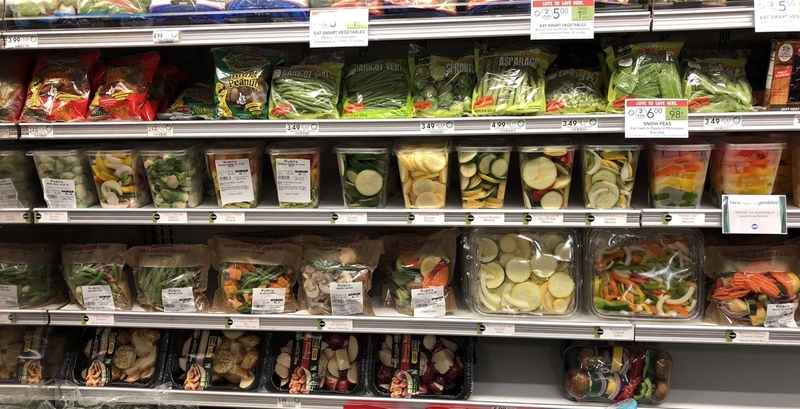 In addition to the bags of pre-chopped steamable veggies that most grocery stores carry, Publix has a wonderful selection of fresh chopped veggies! Almost everything you can think of... They even have veggie kabobs! 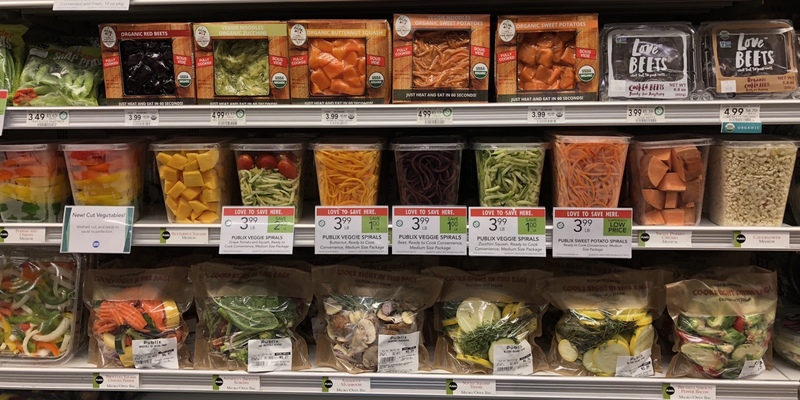 I often buy the sliced summer squash and zucchini squash. Use it for recipes like this, this, this, and this. I also like the convenience of pre-spiralized veggies for times when I don't want to do it myself with my inspirilzer. They even have spiralized beets!! 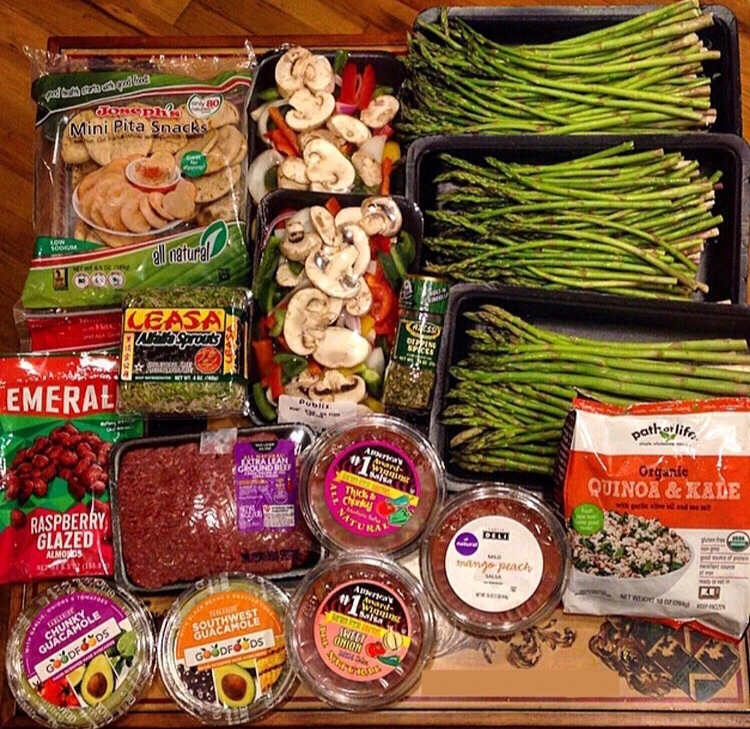 I also stock up on veggies from the freezer section. 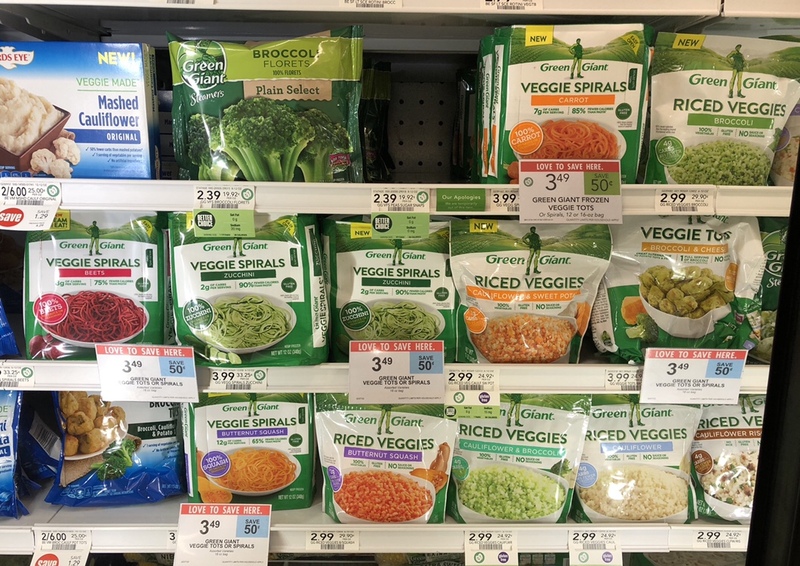 My favorites are the riced veggies and the butternut spirals.The zucchini spirals are best when you buy the fresh ones and steam them, but the frozen ones work in a pinch or for using in baking. It is just as easy to steam the fresh ones in the bags that Ziploc makes. The frozen zucchini noodles were not quite as good texture-wise to me, as compared to the fresh ones. They were also way too long! Still, they would be good in a pinch to have on hand. 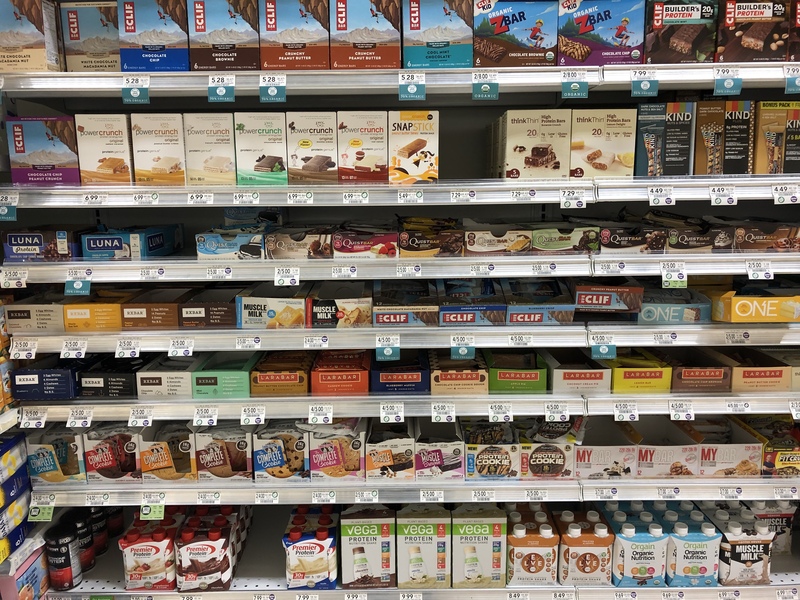 My favorite protein bars (that I can find in stores) are Rx Bars, which are made from minimal ingredients (egg whites, dates, fruit, nuts, and natural flavors). My favorite flavors are Maple Sea Salt, Chocolate Sea Salt, Blueberry, Coconut Chocolate, and the new PB&J flavor. During the fall, they have Pumpkin Spice and Gingerbread, which are wonderful! They also make smaller size bars for kids!! My husband's favorite are Quest bars (I love them too, but try to avoid whey protein for allergy reasons). We also love Lenny and Larry protein cookies—all the flavors are good! They are made with plant based protein. I tend to limit wheat, so I save them for a special treat. Lundberg makes all natural brown rice cakes. They come in salted and salt free. There are also other fun flavors, but our store carries only the basics. Suzie's makes great puffed cake thins and some alternatives to rice cakes (spelt, kalmut, corn, whole grain, etc.) I love using these like I would toast. You can top them with hard boiled eggs, peanut butter or PB2, guacamole, cottage cheese, etc. Quaker makes some good flavors of rice cakes too. The best are the tomato basil and white cheddar. 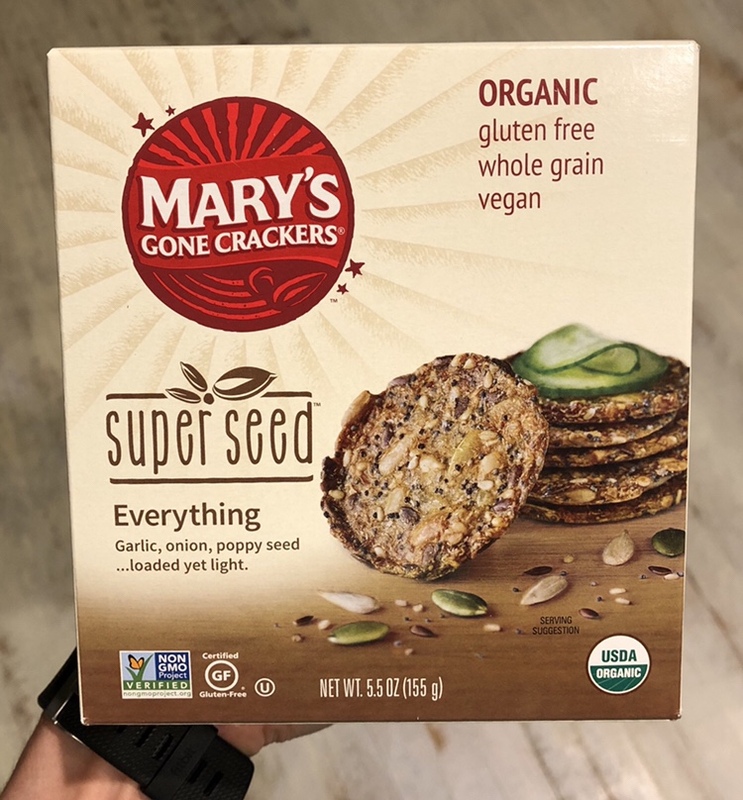 Mary's Super Seed crackers are a delicious all natural cracker! My favorite is the Everything flavor! They are great when you want a little crunch. I almost always carry little Ziploc bags of nuts in my purse (along with a protein bar) in case I am stuck somewhere and need a snack. 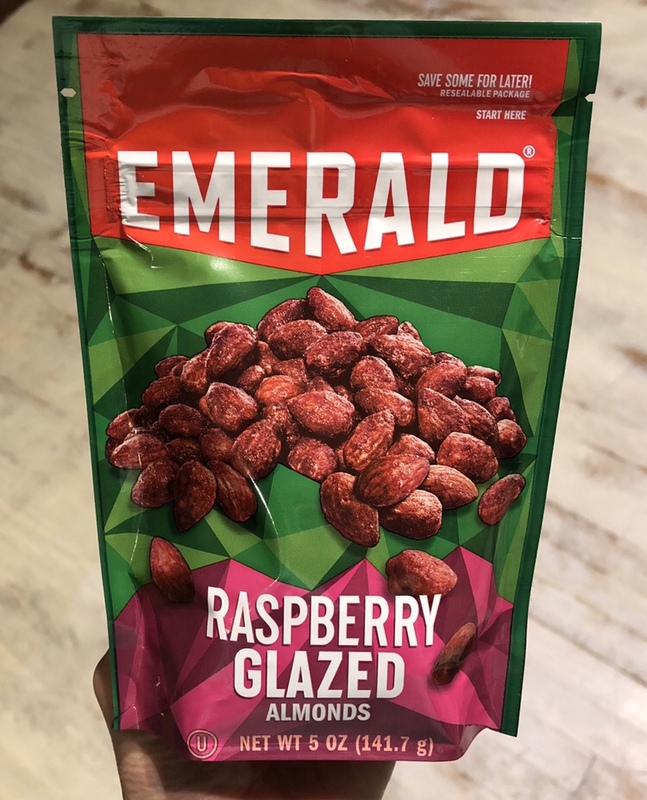 Two of my favorites are the raspberry glazed Emerald's almonds and Back to Nature salted blend of cashews, almonds, and pistachios. 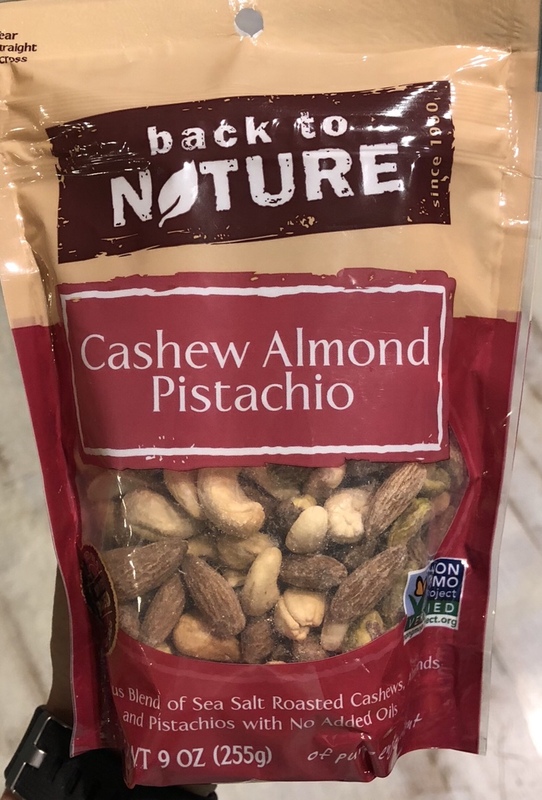 I always make sure to pre-portion my nuts into smaller bags for individual servings, since it can be hard to know how much you have had if eaten strait from the bag. I use a kitchen scale and weigh out for accuracy. 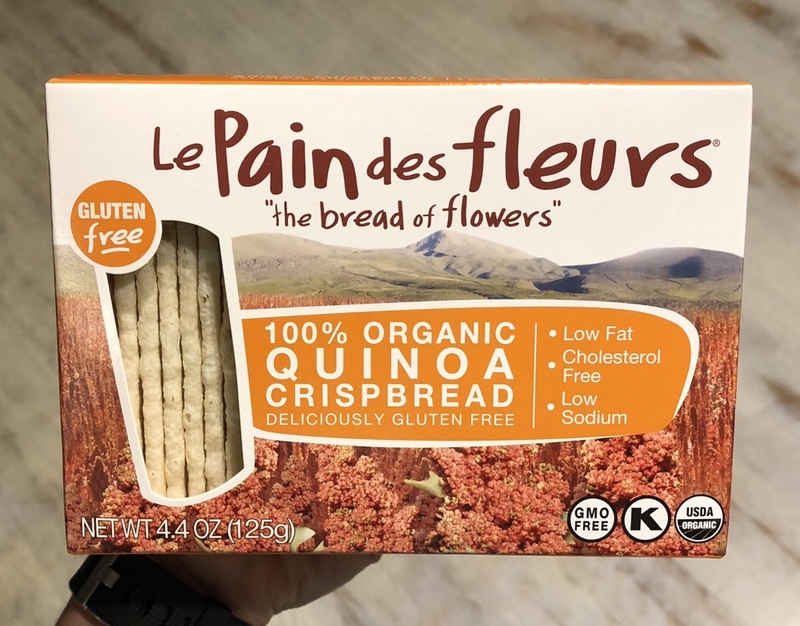 These quinoa based crisp breads are a great alternative, even if you are not someone who needs to eat gluten free! 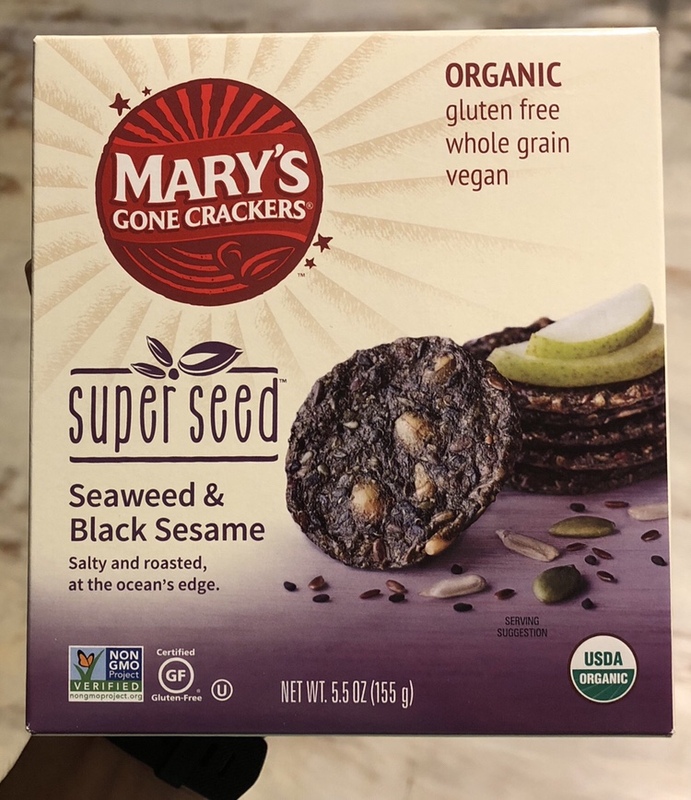 I use them the same way I mentioned I use my rice cakes/cracker thins as alternatives to toast and for scooping or dipping. Most stores now carry PB2, PB Fit, or other powdered peanut butter brands, which I use almost daily. I love using PB2 in shakes, baking, and for making sauces in recipes like this. 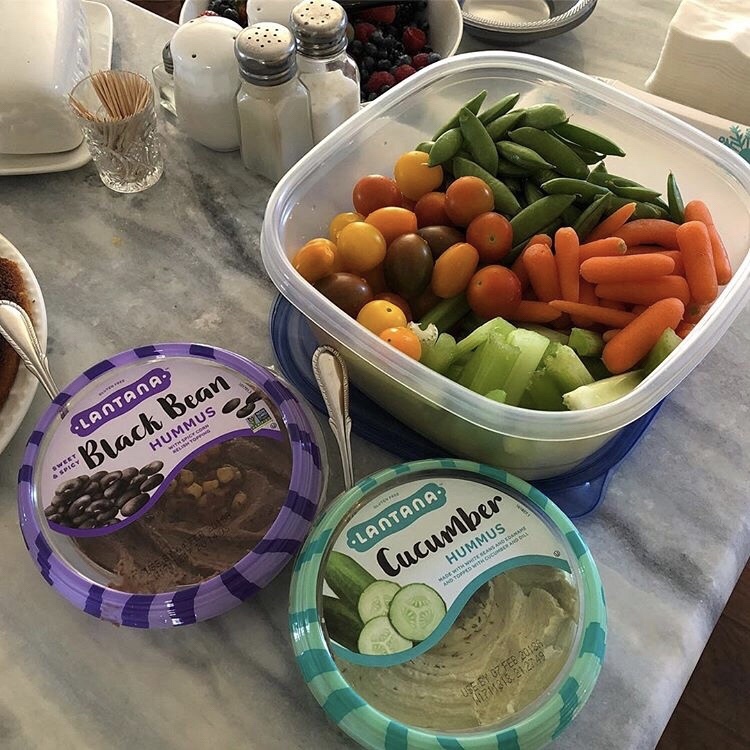 Hummus is a staple for healthy snacking! 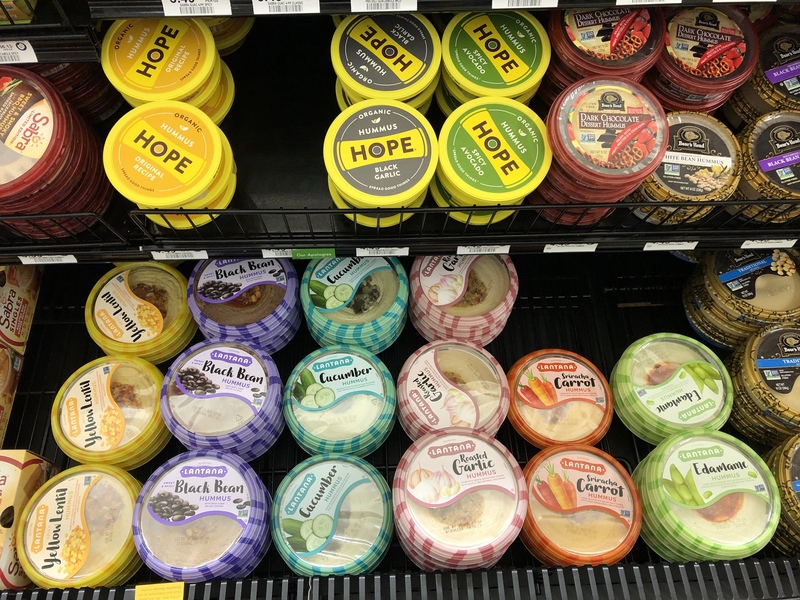 I love Hope Foods and Lantana. They both come in delicious fun flavors! My favorite is the Thai Coconut Curry (Hope Foods) and the Black Bean and Cucumber from Lantana. They are great to bring as an appetizer to a party along with veggies for dipping! 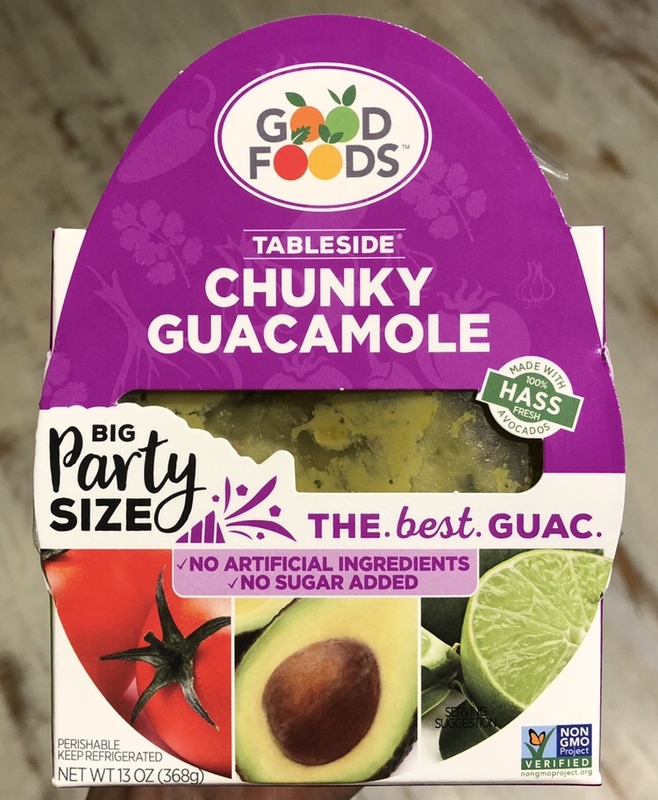 This is my absolute favorite guacamole! It is the same guacamole you get at Moe's Southwest Grill! They are the supplier! I always have frozen fruit on hand. I use peaches and strawberries to make home-made protein "Jell-O" as well as smoothies and shakes. Dark sweet cherries make the best shakes when combined with chocolate protein and Hershey Special Dark Cocoa Powder! My husband loves eating sliced peaches and strawberries for a dessert. He thaws them a bit in the microwave and sprinkles with a packet of Splenda to curb his late-night sweet tooth! Another treat we keep on hand are Outshine bars. 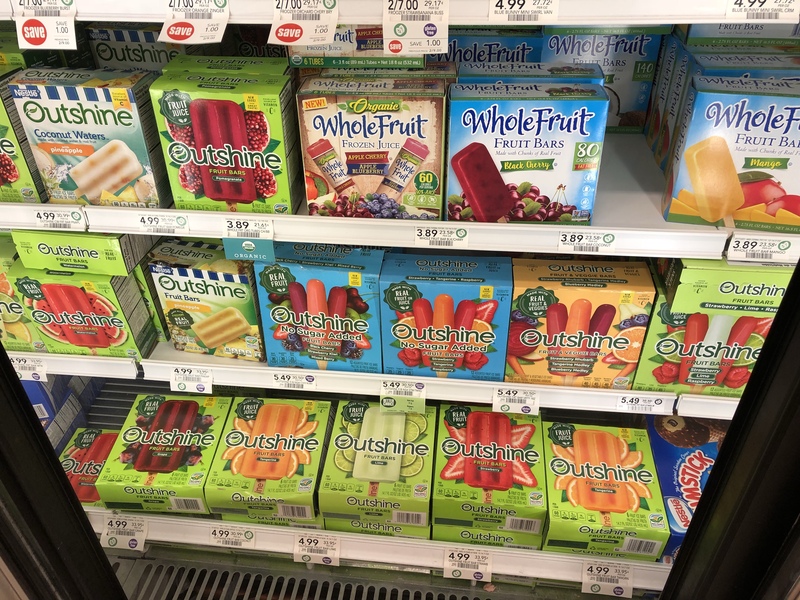 They come in so many delicious flavors and don't have the added sugars that artificial popsicles do. 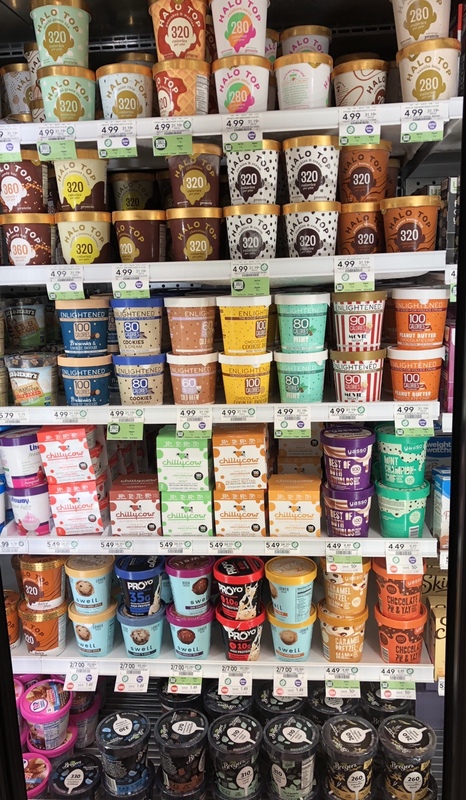 You can't go through the frozen treat section and miss picking up some protein ice cream! Especially when it is BOGO, make sure to stock up! My husband and I both love Halo Top and Eat Enlightened. I stick with dairy free Halo Top most of the time, but will have Eat Enlightented as a treat (it has whey). Chocolate Peanut Butter, Sea Salt Caramel, and Cinnamon Roll are the favorites on my dairy free Halo Top list. Pancakes and Waffles, and Mochi Green Tea top my favorites in the dairy-containing line. I am on the hunt for the new PB&J! Movie Night Popcorn, Red Velvet, Sea Salt Caramel, Frozen Hot Cocoa are my favorite Eat Enlightened. Trust me when I say that the Red Velvet cannot be beat! I have not yet tried the new flavors, and must find the Marshmallow Peanut Butter ASAP!! Path of Life makes some really tasty steamable sides. 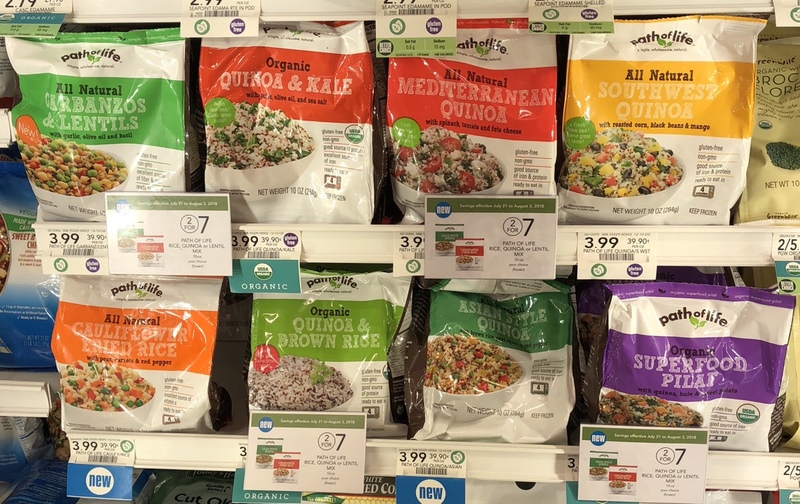 My favorite is the Mediterranean Quinoa. I also love the superfood pilaf and quinoa and kale. 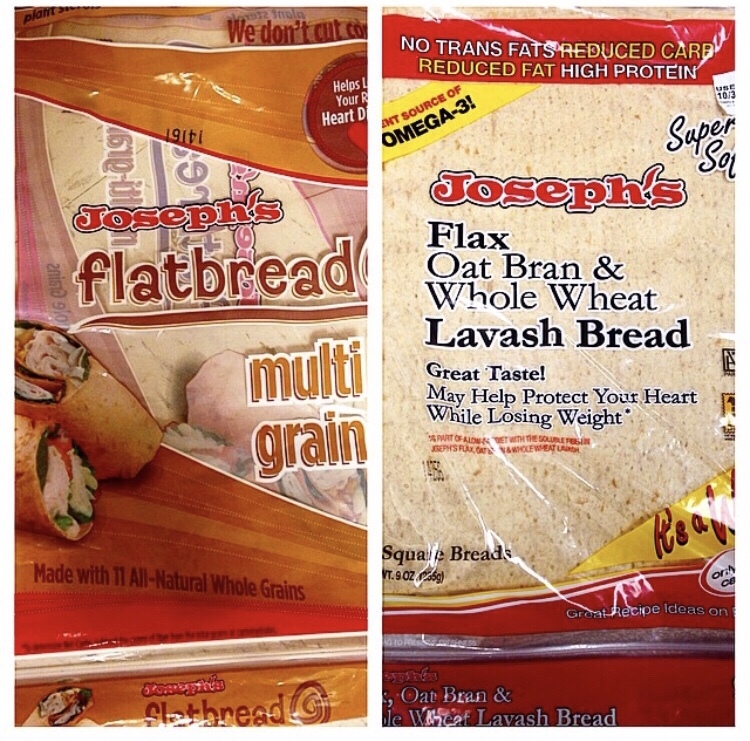 Joseph's makes delicious flatbreads and pitas. You have to try using the wraps to make a panini like this! Use the pitas for pizzas like this or this. The mini ones are perfect for dipping! 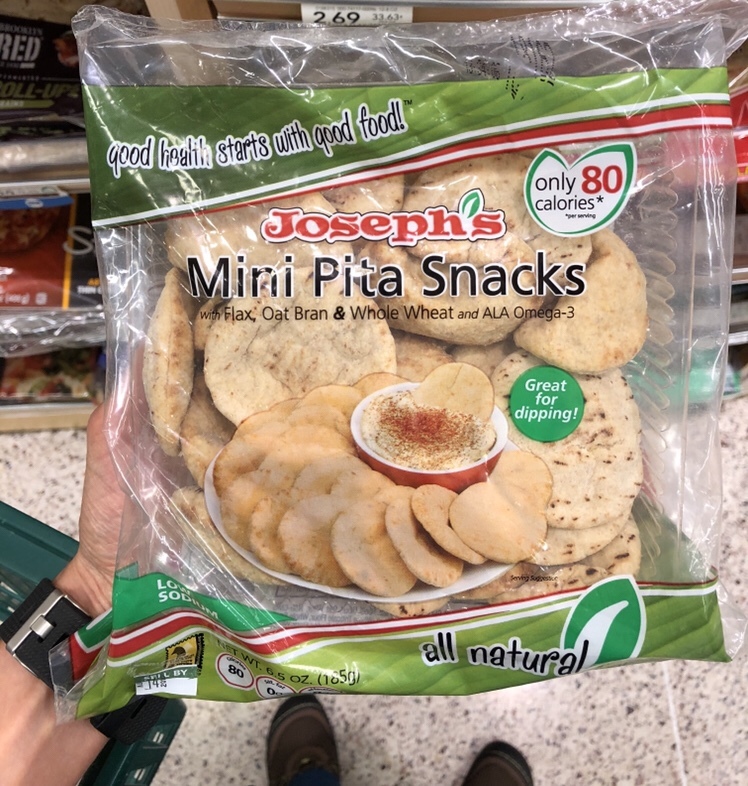 I love eating them with hummus! Gourmet Garden makes herb pastes and dried herbs that are wonderful for seasoning things. I always try to keep these kind of herbs on hand as they are more fresh tasting than dried, but also last longer than fresh ones do! 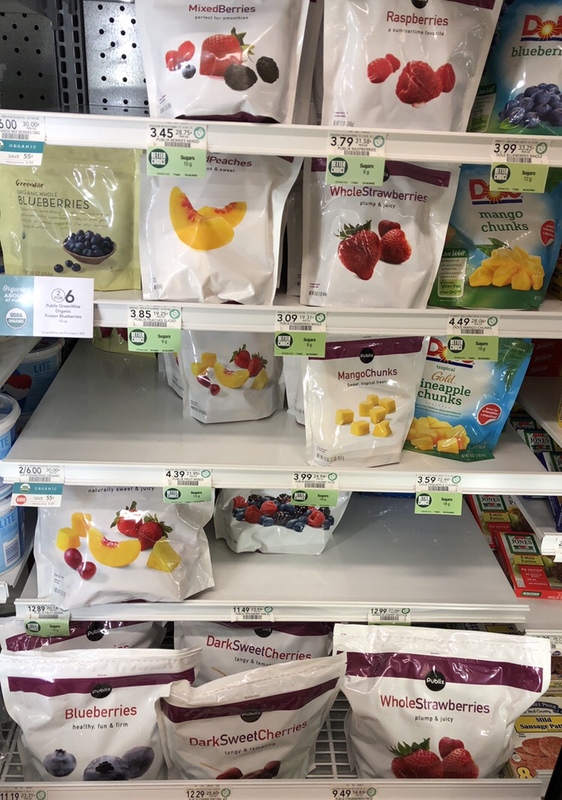 So there you have my favorites from Publix! Do you shop there? What are your favorite items? Let us know in the comments! !